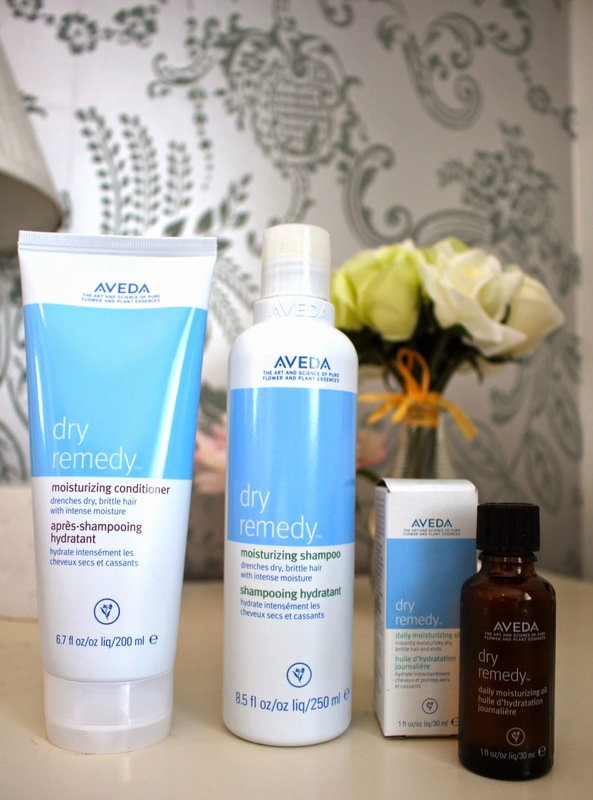 The new and improved Dry Remedy range from Aveda includes a Dry Remedy Daily moisturising oil – a 99.9% naturally derived daily leave in treatment, as well as a moisturising shampoo, conditioner and masque (not in images). The system is designed to drench dry, brittle hair in vital moisture – thanks to the organic Buriti Oil, Pomegranate and Olive Oils. I treated myself to a luxuriously long shower and applied the shampoo in a new technique – the helpful guy at the Bumble & Bumble counter in Boots told me that hair is at its most vulnerable when being shampooed, so you should lather the roots and then drag the shampoo down to the tips, as opposed to piling all hair on top of your head. The dry remedy shampoo has a luxurious fresh, floral fragrance and lathers well, even with just a small amount of shampoo. It’s really important to rinse out very thoroughly – the first time I used it I didn’t rinse out properly and it made my hair very heavy. The conditioner softens hair immediately, I left it on for a few minutes before combing though the ends. The dry remedy oil should be used sparingly, with just a couple of drops smoothed through the mid lengths to ends of hair – I found it made my hair much easier to comb through and left it soft, silky and shiny following the blow dry. So my final verdict? Although pricey for a hair treatment (the range starts at £17.50 for a dry oil up to £28.50 for the masque) the results are totally worth it – it is one of the first ranges that I’ve actually found to work on my nightmare barnet – and I think i’ll be using it just once a week or whenever my hair needs a treat. What’s your favourite hair SOS?